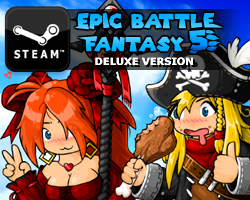 Battle swarms of enemies and massive bosses, collect new equipment, explore a variety of biomes, and learn magic spells. This game was actually my final-year project for University! I’m so glad this place was made I can play all the games again, its like a dream come true! The game freezes after I clear the tutorial. Help? This game is really good .when will adventure story 2 be released ? curious if you will ever make a sequel to this and/or release the first one on steam? Maybe Lance learned his lesson on kidnapping Natz now? 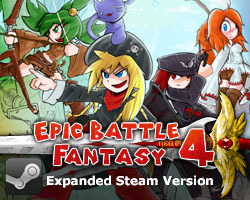 I know this was just a spin-off, but I always felt this was your second best game to EBF4. It’s remarkably well polished considered you don’t specialize in action games. Real treat. Why? That’s random and makes no sense. Matt has superpowers. Why didn’t he tell anyone he could teleport to the top of cliffs by smashing his face into the sides of them?Would’ve made the temple of Godcat so much easier. Unless you were a cheater like me and used the teleportation glitch in that game to get the Guardian and Sand Dune skills and Goldenbrick shop stuff before you were supposed to have them. Hey, no one said I wasn’t to use glitches in my epic mode playthrough. I’ll take an advantage by loophole 10 times out of 10.